You enjoy the warm summer rays on your face. You love spending countless hours soaking up the rays of the sun. You are happier for all of that Vitamin D, but your face is not feeling the same way. If this describes you, then you need to hurry in so that you can take advantage of this amazing Lightening Lift Peel at The Spa Lounge in Draper. 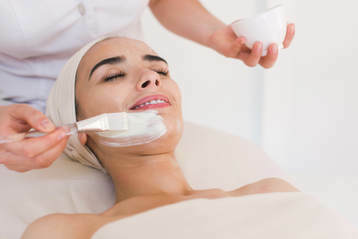 This treatment uses Lactic Acid blended with the Kojic acid and a cocktail of brightening agents to reduce all forms of pigmentation. This peel is perfect for people that have pigmentation, photo-damaged skin and sun/dark spots. It targets and corrects all forms of pigmentation to leave the skin with an even tone. Book an appointment to day to start seeing the impressive results from this facial today! *If you have questions about what treatment is right for you please feel free to contact us and speak with a Certified Master Esthetician Today!